Interior finish trim work can make a big impact. Functional woodworking, like baseboards or window frames, can look so much better when they are custom built and installed by Erix Home Improvement LLC. Decorative woodworking, like wainscoting or ceiling panels, add class to any room in your home. Erix Home Improvement LLC has been in the finish carpentry business since 2012. Custom woodworking by Erix Home Improvement LLC is a smart investment that will pay off for years to come. 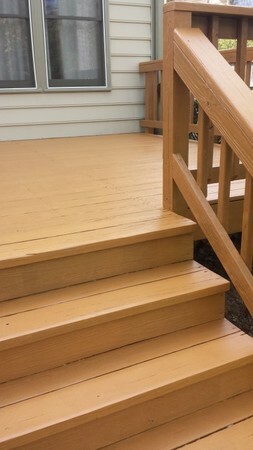 At Erix Home Improvement LLC, we are proud to have a reputation for quality craftsmanship and attention to detail. Make your dining room pop with beautiful wainscoting, crafted and installed by Erix Home Improvement LLC. We can also install custom panel ling for added sophistication. Upgrading the interior doors in your home is another way to instantly boost equity. Erix Home Improvement LLC will expertly measure every door to make sure you're getting a perfect fit. Whether you're simply replacing existing interior doors or upgrading a room with French doors or insulated sliding glass doors, Erix Home Improvement LLC will professionally install every door for you. Attention to detail is what makes Erix Home Improvement LLC stand out. Whether you're looking to update functional woodwork or add decorative touches to your home, Erix Home Improvement LLC will handle your project professionally. Erix Home Improvement LLC has been in business for 7 years, making homes like yours more beautiful. Call (240) 207-1192 to find out how you can add wow to your home.